Digital First Media named Ed Moss, the former publisher of the San Diego Union-Tribune, as The Denver Post’s new president and chief executive on Friday. Moss also was named an executive vice president of Digital First Media, responsible for MediaNews Group’s operations in Colorado, Texas and New Mexico. 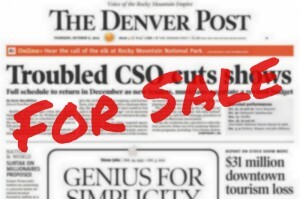 MediaNews owns The Denver Post.